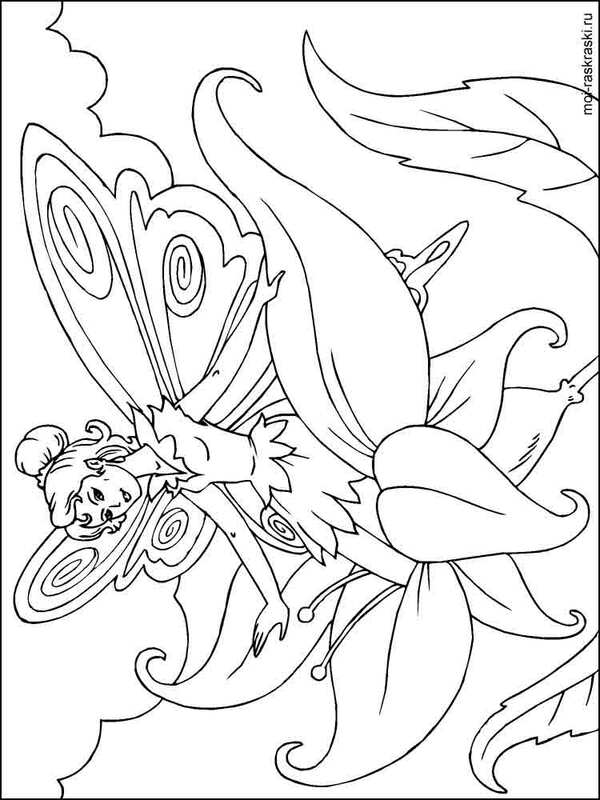 Fairy coloring pages. 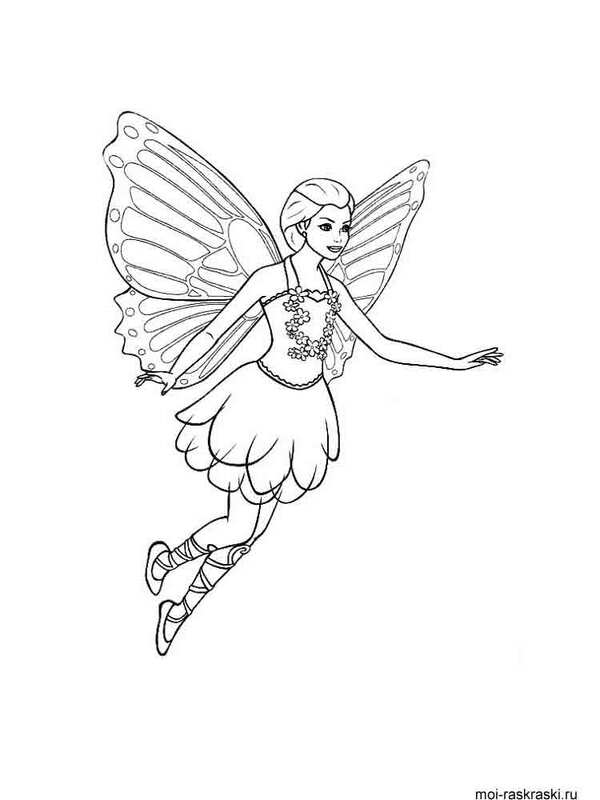 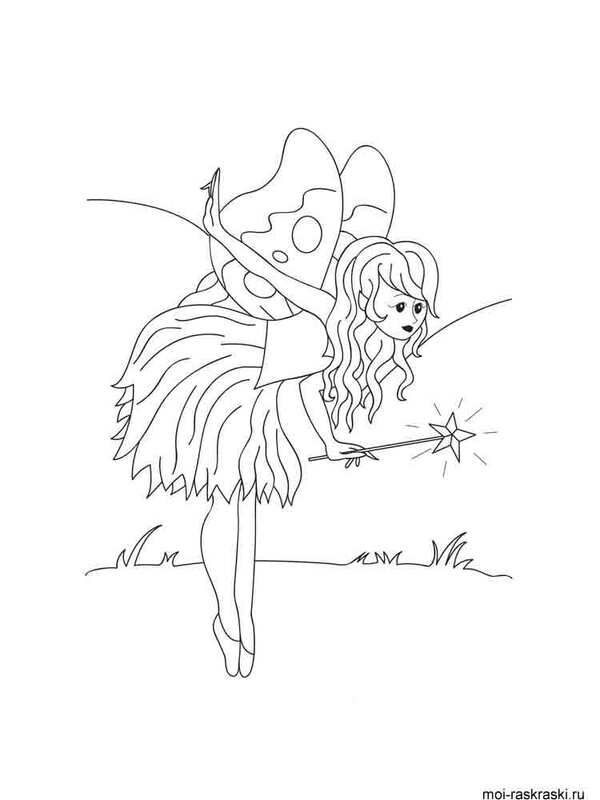 Download and print Fairy coloring pages. 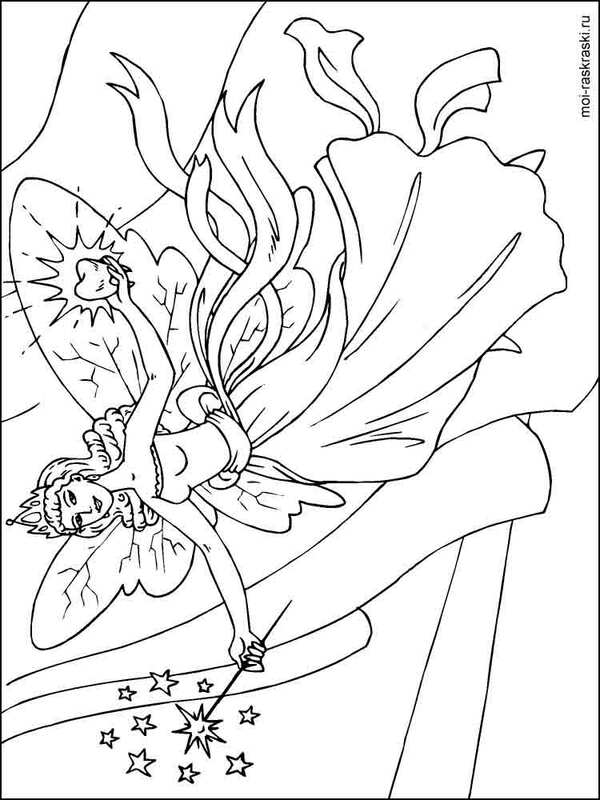 The section Fairy coloring pages contains printable coloring pictures with the images of a female fantastic beings allocated with extraordinary opportunities. 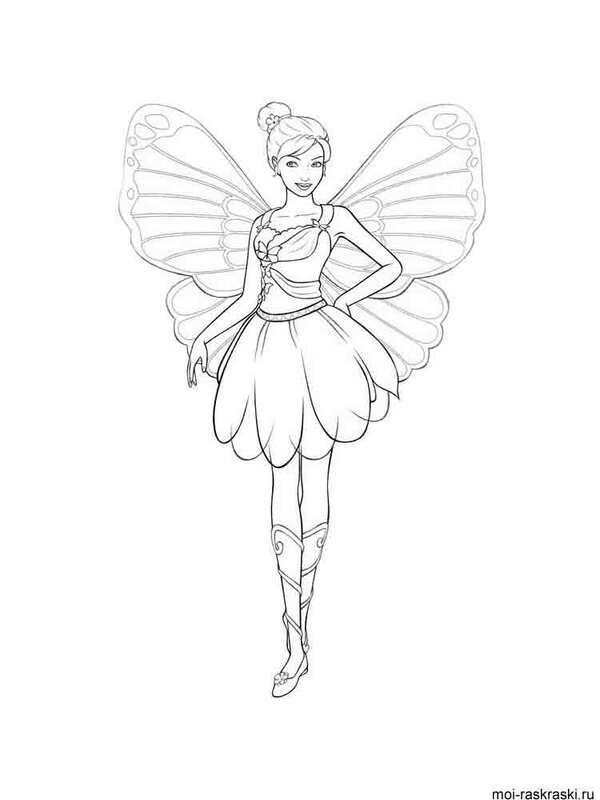 Fairies are always charming and externally very similar to ordinary girls, but surely have the feature which distinguishes them from human beings, for example, wings or a tail. 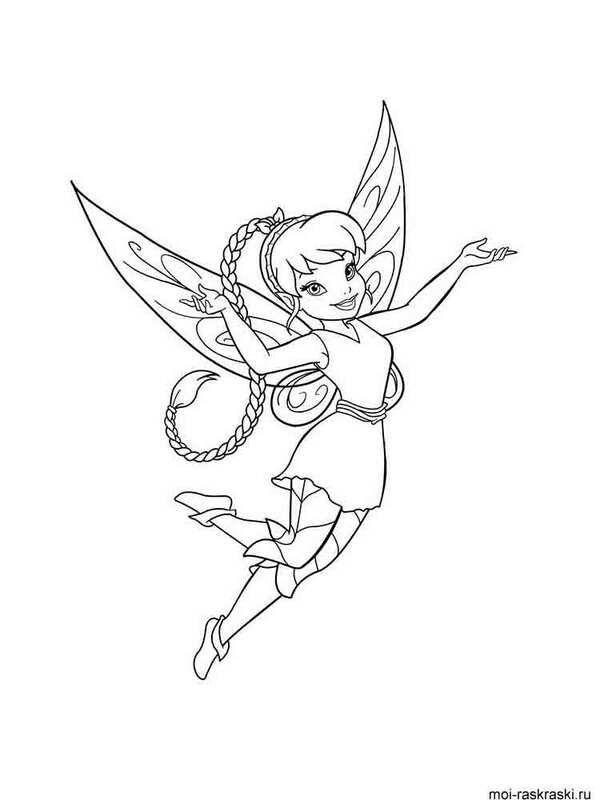 You can see it if you will download and print fairy coloring pages on our website. 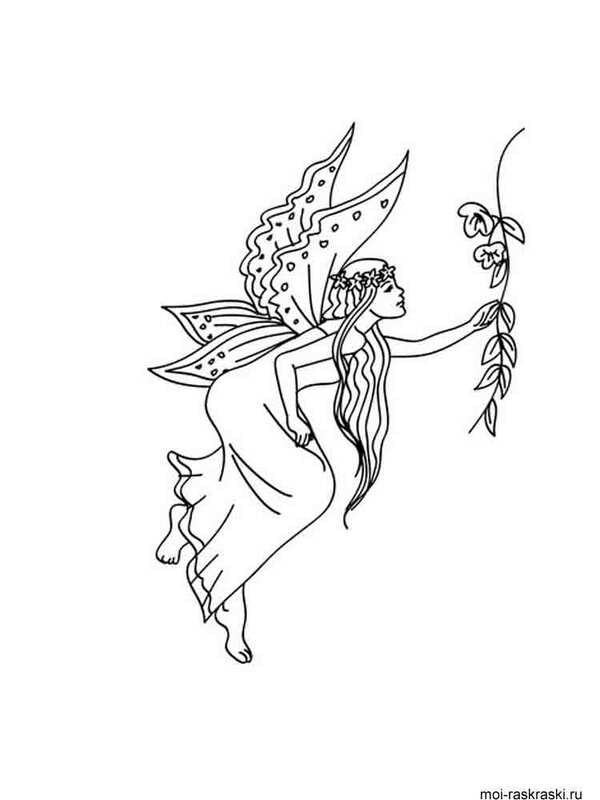 It is necessary to notice that not always the word «fairy» not always means beautiful magic girl. 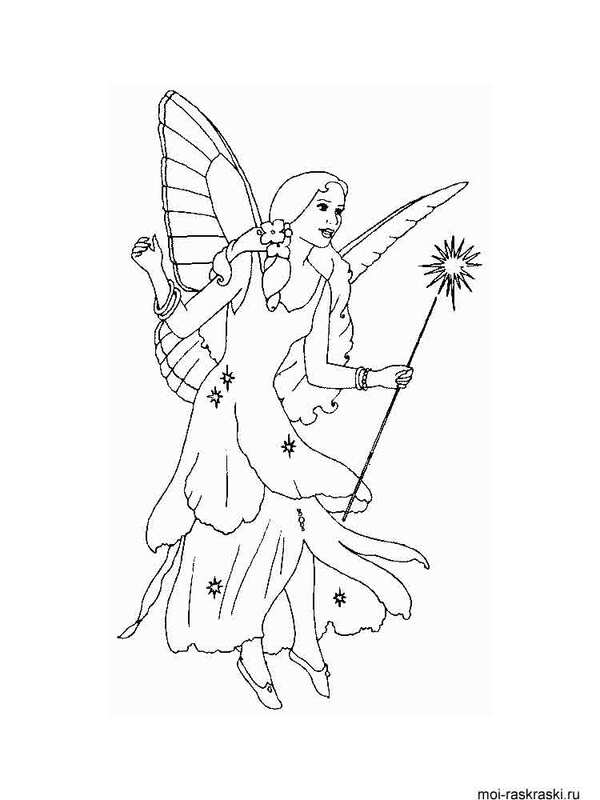 In some cultures fairies are old women with repellent appearance. 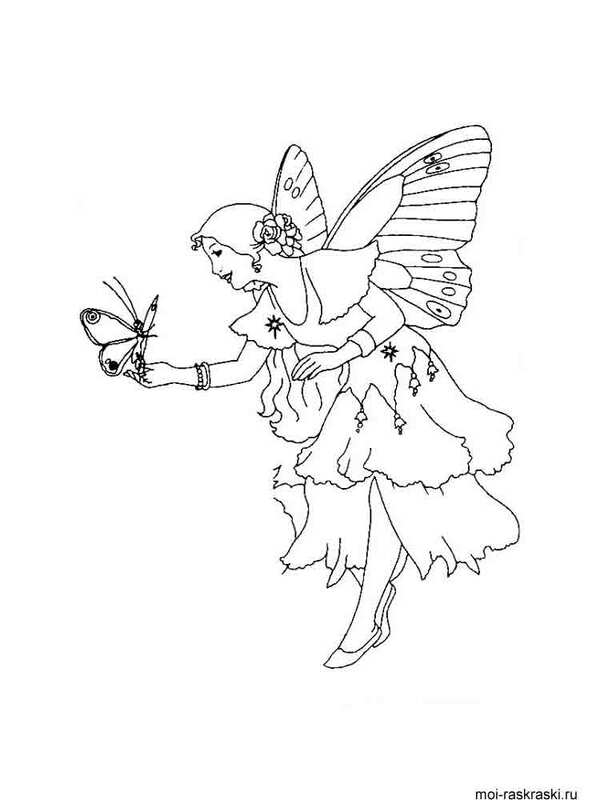 Fairies can change the appearance, to turn into other being and to become invisible. 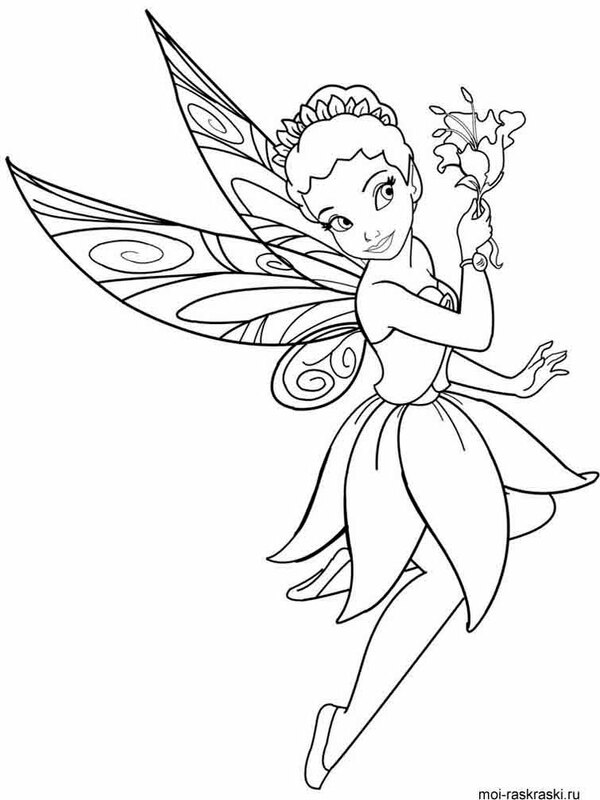 All fairies are divided into two types: fairies social and the fairies isolated. 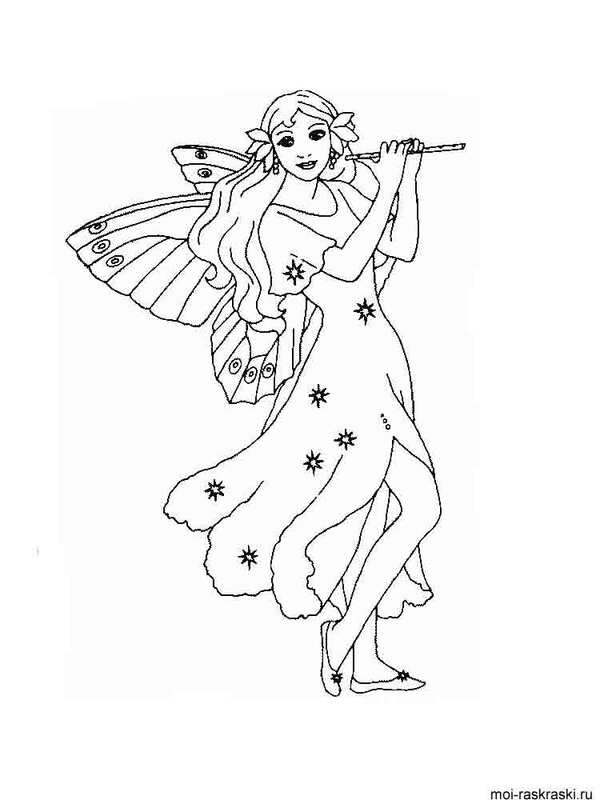 Fairies of the first type like to communicate with different beings, they adore holidays and public actions, they live in groups. 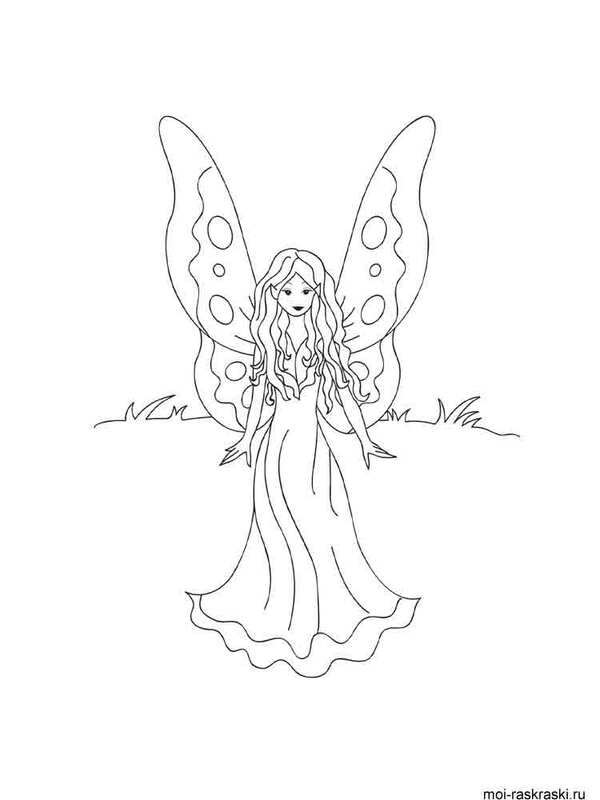 Other fairies prefer independent life, they choose the human house and forever live there, or they live on the open place. 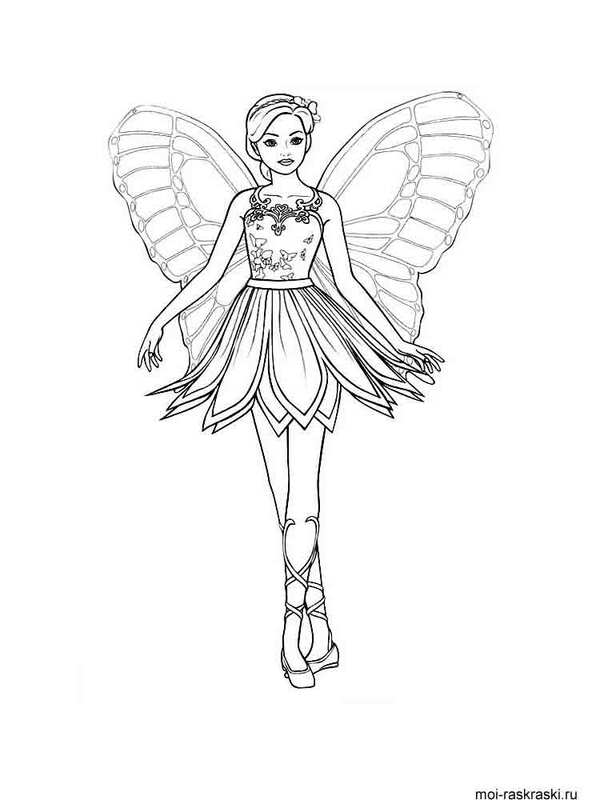 Clothes of fairies are always modest and very beautiful. 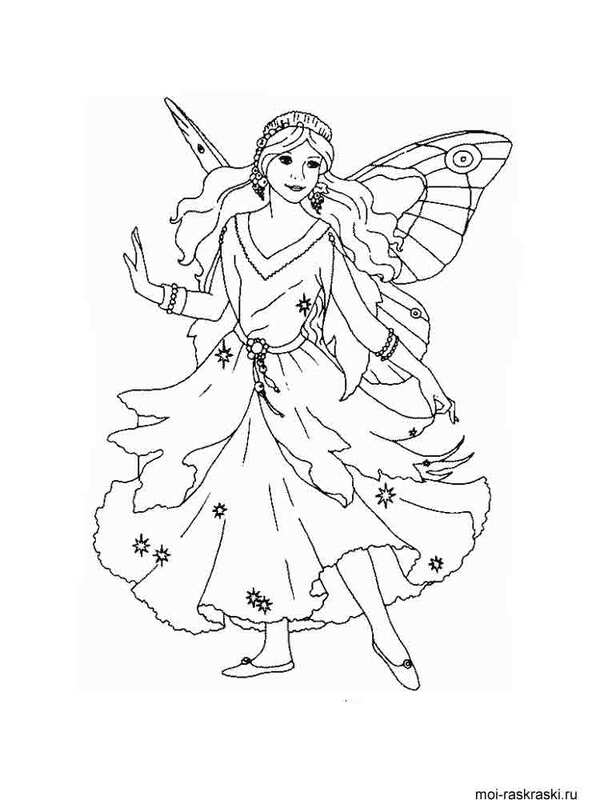 Fairies are inseparably linked with the nature and therefore their dresses are weaved from such materials as foliage, web, petals, etc. 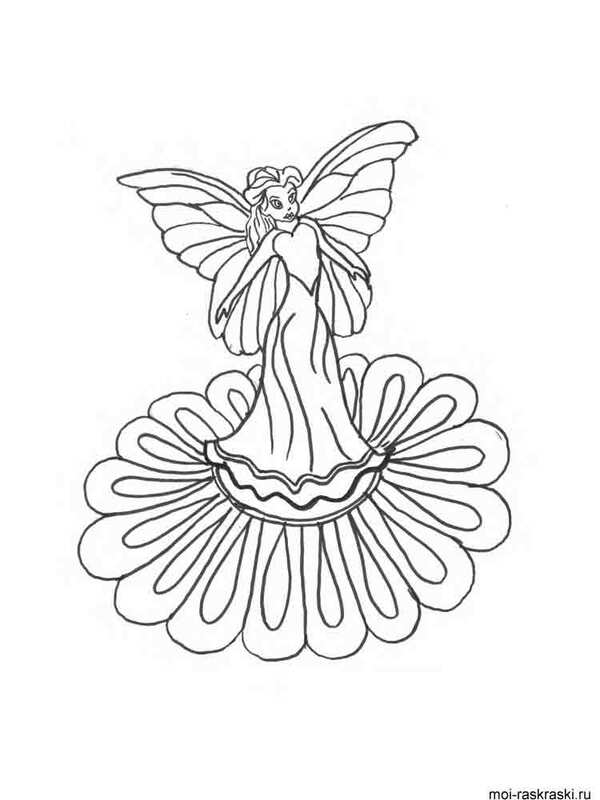 And as jewelry for hair these magicians use fresh fragrant flowers. 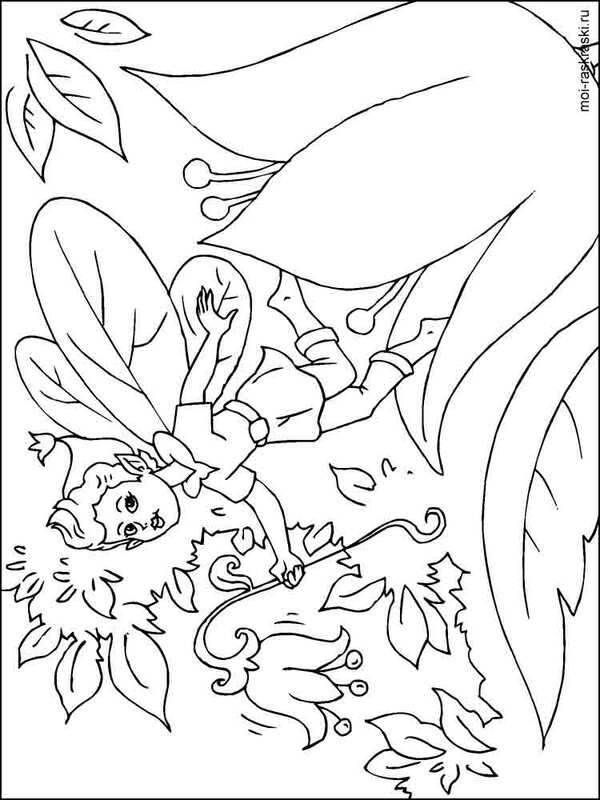 Download and print fairy coloring pages, and be convinced with own eyes as these beings are delightful.